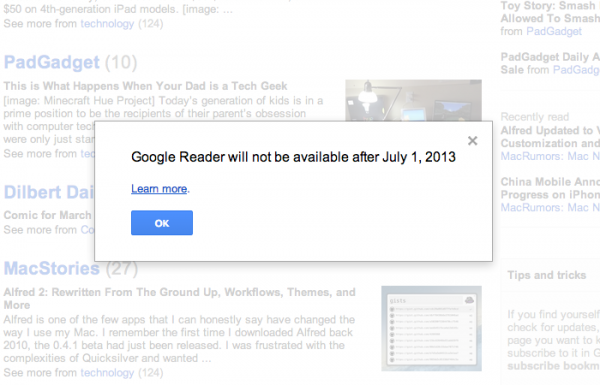 I'm sure you've all heard the news about Google Reader's slow clap into non-existence. Sad, right? Why Google?? Why? If you're feeling overwhelmed about how to still follow all of you favorite blogs (including this one!! 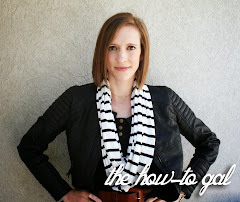 ), never fear, The How-To Gal is here! I love reading all of my blogs in one location or through email and think Bloglovin' is a great solution to Google Reader's demise. I've been using it for awhile and really like it. Today I've created a techie tutorial to show you how easy it is to transfer all of your Google Reader information onto Bloglovin'. 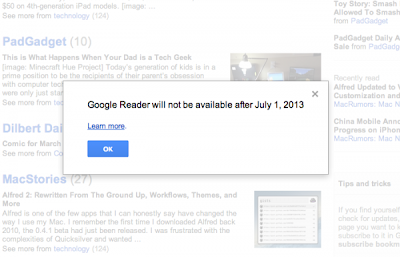 Step One: Be sure you're signed into the Google account you use to read all of your blogs. 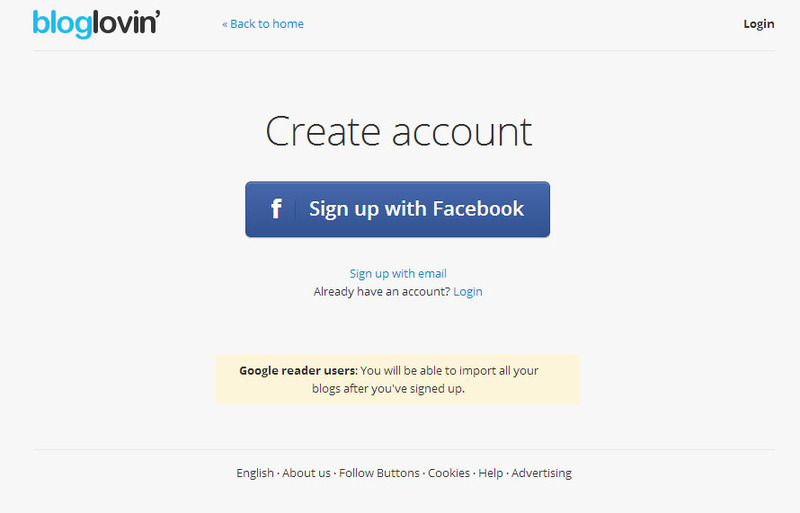 Step Two: Go to Bloglovin.com and create an account. They make it really easy to simply connect via your Facebook account or you can sign up with an email address. Step Three: Once your account is created, it will take you to Bloglovin's feed page. Up in the upper right hand corner, you'll see a drop down menu entitled "Account." Click on "Settings." 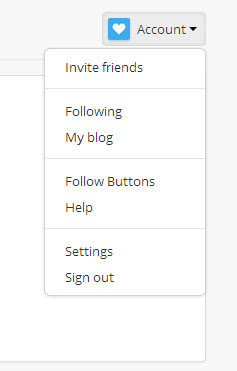 Step Four: In account settings, scroll down to the bottom. 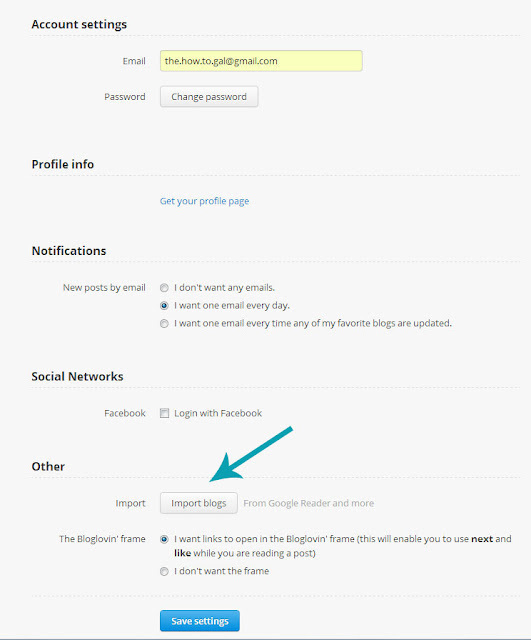 Under "Other" you'll see the option to "Import Blogs." Click that button. 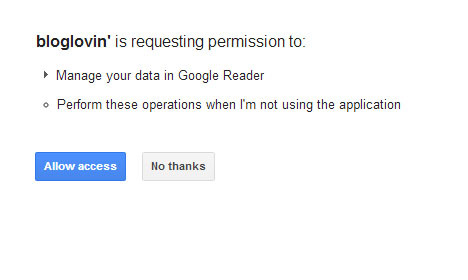 Step Six: Google will pop up asking your permission for Bloglovin' to access your reader feed. Click "Allow Access." Step Seven: Bloglovin' will then begin importing all of your saved blogs. And that's it! All of your favorite blogs are now safely stored in your Bloglovin' feed. You can then go back to settings and choose how you would like to receive updates (daily, by email, etc).